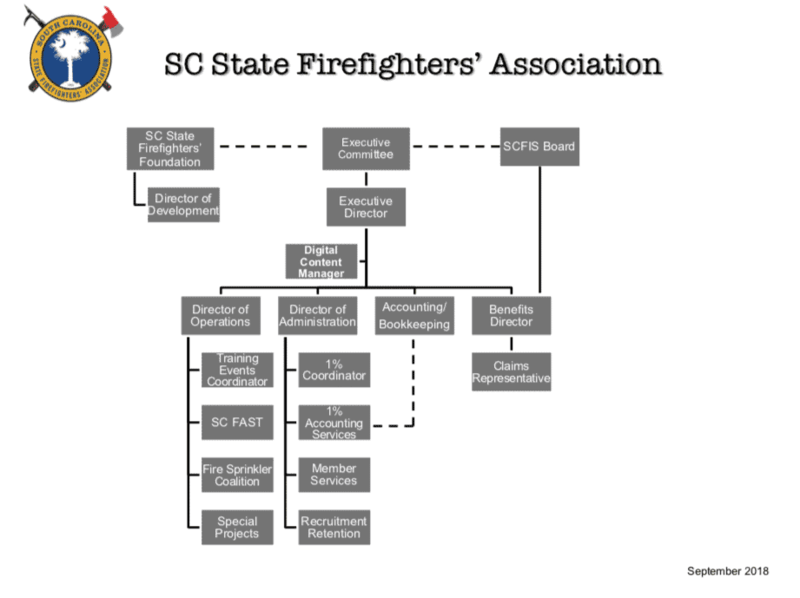 South Carolina State Firefighters Association | “Lest We Forget”…Are They Just Words? “Lest We Forget”…Are They Just Words? 23 Feb “Lest We Forget”…Are They Just Words? Fire deaths and injuries occur every day, and most of these tragedies take place in the home. However, over the years some of the saddest and most dramatic heartbreaks have occurred in other types of occupancies which resulted in significant loss of life. In the following paragraphs, I offer the reader some highlights from several of those more legendary fires that, at the time, shocked the country and caused every firefighter to take pause. As I describe a couple of these more well-known fires, I will relate the stories of two individuals from my past who shared with me their experiences at a pair of these famous and tragic fires. Let’s go back in time to December 5, 1876, to a large theater located at the corner of Johnson and Washington Streets in the City of Brooklyn, New York (later to become the Borough of Brooklyn). It was about 11:00 P.M. and near the end of the last act of the play, “The Two Orphans”, featuring renowned actress Kate Claxton. Reports reveal a near capacity crowd, almost 1,000, packed the seats and isles of this grand theater. All of a sudden a piece of cloth or canvas hanging as scenery fell near one of the oil lamps used to light the stage. Actions by stagehands to extinguish the flickering flames only made matters worse and spread the fire to other nearby scenery. As the fire began to spread, Mrs. Claxton and other performers tried to calm the mounting fears of the audience to prevent a panicked rush to the pitifully limited number of exits to the outside. But, as the flames consumed the stage area and choking smoke filled the theater, the audience sensed the seriousness of the moment and predictably reacted by rushing to the main exit. When the fire was finally contained and eventually extinguished, 295 people had died… many burned beyond recognition, trampled to death, or else had succumbed to smoke inhalation. A lengthy investigation was commenced and concluded with recommendations that could prevent such a calamity from happening in the future: 1) enforcement to prevent overcrowding; 2) need for adequate exits; 3) restriction of flammable contents; 4) enhanced fire suppression devices; and 5) detailing firefighters to serve as “fire watches” during events. Nearly three decades after the Brooklyn Theater disaster, a fire in Chicago’s Iroquois Theater claimed the lives of 602 people. The events unfolded on the afternoon of December 30, 1903, during an opera entitled, “Mr. Bluebeard”, starring comedian, Eddie Foy. The house was packed with eager theater goers, many of whom were children being treated by their parents to a lively performance in the city. No worries were brought to the show because, after all, the theater was advertized as an “absolutely fireproof” building. The theater seats were packed full of people, and a sign had been posted at the box office indicating “standing room only”. Déjà vu’…a piece of drapery material from scenery was situated too close to the stage lighting and quickly ignited. As a typical reaction, stagehands tried to extinguish the fire themselves and delayed notifying the fire department of the blaze. As has been described in numerous accounts, the actors and musicians continued their routines in hopes of calming the audience to prevent panic. The star of the show, Eddie Foy, took to the stage in a frantic attempt to warn the nearly 2,000 spectators not to rush to the limited and hidden exits. Unfortunately, a deadly catastrophe had already been set into motion. Some people heeded the advice to remain seated and were burned to death where they sat while others charged to the balcony fire escapes, and a multitude tried to find their way to unlit exits. We are told in less than 10 minutes after the first signs of trouble, the fire had done its destruction. When it was all over, 602 men, women and children were dead. Mayor Carter Harrison ordered an immediate investigation, and after a lengthy and thorough inquiry, recommendations were published: 1) enforcement to prevent overcrowding; 2) need for adequate and illuminated exits; 3) fire resistive furnishings; and 4) fire sprinklers and adequate extinguishing devices. As an interesting side note to this story, I have in my collection of memorabilia, a first edition book, dated 1904, entitled Lest We Forget…Chicago’s Awful Theater Horror. The Introduction is written by the Rev. Samuel Fallows, a man of the cloth, who was witness to the dreadfulness of that afternoon. An excerpt from this Introduction illustrates with almost certain predictability what can happen today if “human law…is so flagrantly set at naught”. On the evening of November 28, 1942, an unusually large crowd of patrons packed the most popular restaurant and lounge of the city….the Cocoanut Grove. Even the famous cowboy star Buck Jones made his way to the main dining room to enjoy the company of friends. Although the lounge had reached its listed capacity of about 500, employees of the Cocoanut Grove never turned away a paying customer and allowed an estimated 1,000 into the building. The front entrance to the Cocoanut Grove was a large revolving door which opened into a sizable bar. From the bar section, customers with reservations, or those who were lucky enough to arrive before the swarms of late night revelers, were escorted into the main dining room and dance floor. A new cocktail lounge was situated on the far end of the building, and the Melody Lounge was downstairs in the basement. A considerable number of exits were hidden from public view by large drapes and other furnishings. A prominent theme and motif of the Cocoanut grove was the depiction of a tropical setting filled with artificial palm trees, bamboo, and blue satin skies. Almost all of the Cocoanut Grove was dimly lit with light bulbs hidden within the paper palm trees. A few minutes after ten o’clock, an illegally employed 16 year old waiter was told to go downstairs to the Melody Lounge and replace a light bulb. Reports reveal that he lit a match to find the socket and blew it out after successfully replacing the bulb. The waiter told authorities that the match never touched the paper palm tree, but whether it did or not, a small flicker of flame was observed above the tree in the cloth ceiling soon afterwards. Although a number of fire extinguishers (most likely soda-acid extinguishers) were used in an attempt to bring the fire under control, the flames had already begun its rapid spread across the ceiling. Frightened customers began to rush towards the stairs to reach the main exit, but the fire and smoke had taken possession of the basement lounge. Cries of FIRE multiplied throughout the building. Soon the available exits were clogged with hysterical people scrambling for their lives. By now, you know the rest of the story. Once again, the mayor of a large city ordered an investigation into the origin, cause and circumstance of the fire. And, as in the past, the report contained damaging recommendations that sound so familiar: 1) overcrowding; 2) flammable furnishings and contents; 3) lack of adequate egress and blocked or locked exits; 4) doors which opened inward; 5) building codes were “antiquated and incomplete”; and 6) poor and ineffective fire inspections. About the time the fire started in the Melody Lounge, the Boston Fire Department was dispatched at 10:15 P.M. to a vehicle fire in the vicinity of the Cocoanut Grove. The fire was minor and quickly extinguished. But, while taking up, the lieutenant of Engine 22 observed smoke rising above the buildings in the area of the Cocoanut Grove. Fire units now redirected their attention to a more serious fire just a block away. Box 1521 was transmitted at 10:20 P.M. Ultimately the fire went to a 4th alarm which brought 20 engines, 5 ladders, 1 rescue, and numerous chiefs to the largest loss of life fire experienced in the City of Boston. The death toll reached 492 people with hundreds more severely injured. 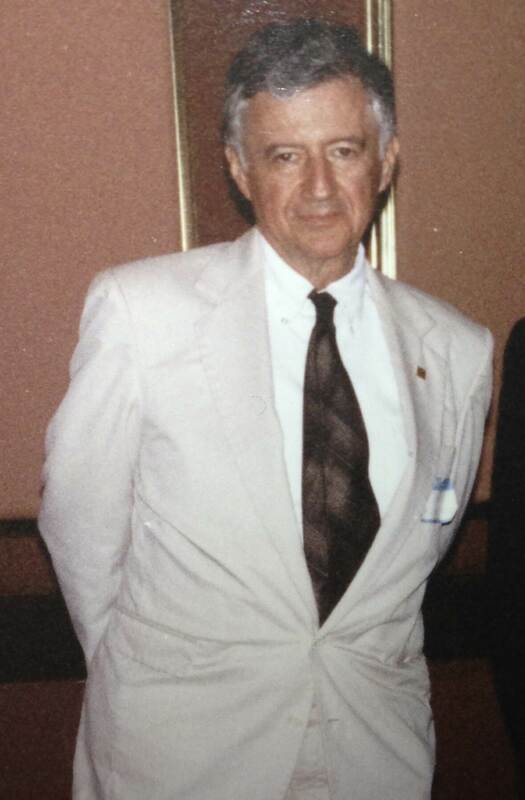 On a personal note, while working for the Office of State Fire Marshal in 1974, I had the occasion to attend a meeting of the Fire Marshal’s Association of North America held in Oklahoma City. After a long day of meetings, the late S. C. State Fire Marshal, Jesse Johnson, introduced me to Boston Deputy Chief and Fire Marshal, Joe Dolan. During the conversation, Mr. Johnson asked Chief Dolan to tell me about the Cocoanut Grove fire. As it turned out, I was given a play-by-play account of that night in 1942. I was spellbound, to say the least! As it turned out, Joe Dolan was a relatively new fireman assigned to one of the responding engines to the vehicle fire. He shared that as his engine arrived in the block where the Cocoanut Grove was located, the officer ordered a fireman to get off the engine and transmit the box. Chief Dolan said he saw a tremendous volume of smoke with waves of flames pouring from the front of the building; glass was breaking from its thick windows; and the horrifying screams from people trapped echoed down the street. With great clarity, and in the classic Boston brogue, Chief Dolan described an event that would forever be etched in his mind and was the source of his focus in fire prevention. And, for a young guy, I was moved by the experience of hearing a first-hand account of that famous fire. During the early morning hours of December 7, 1946, one of Atlanta’s most elegant hotels suffered that City’s worst loss of life by fire in its history. The fifteen-story Winecoff Hotel, one of Atlanta’s tallest buildings, was located at the corner of Peachtree and Ellis Streets. The hotel was built in 1913 and was advertised as being of fireproof construction. No fire escapes were provided except for one open interior stairway located in the center of the building as well as two elevator shafts. The interior hallways and walls were covered in painted burlap and wallpaper. Doors to each room were installed with adjustable transoms. The hotel had near capacity of registered guests, almost 300, who likely were in the City to attend the showing of “Gone With The Wind” or one of the other popular movies of the day. Reports indicate that an elevator operator smelled smoke between the third and sixth floors. Attempts to locate a bellman and the hotel’s engineer created confusion, but the desk clerk nevertheless did have presence of mind to call the fire department at 3:42 A.M. by means of the house phone. Although a central alarm system, manually operated from front desk, was installed, the desk clerk never activated the internal alarm. We are told the fire department responded quickly, and, on arrival, found fire showing from the third, fourth, and fifth floors. First arriving units were faced with people already jumping from windows. With no fire escapes and flames spreading up the interior staircase, patrons on the upper floors were in serious trouble and faced almost certain death. A number of firemen were injured when “jumpers” landed on top of them as lines were being stretched and ladders positioned. Many guests used sheets tied together in an attempt to lower themselves to safety, only to perish when the knots failed or they lost their grips. Some people jumped as a last resort when fire department ladders could not reach their windows. Even with the tragedy unfolding, firemen were successful in rescuing many frightened guests by means of aerial and ground ladders. We are told life nets caught several of the guests as they jumped from upper floors. At least three alarms were transmitted, and the fire was finally brought under control in about three hours. When the final count was taken, 119 people lost their lives. As one can imagine, some guests were burned to death, many jumped to their deaths, and the remaining ones died from smoke inhalation. Even the owner of the hotel, 86 year old William Winecoff, and his wife died in their apartment on an upper floor. Once the fire was extinguished, Atlanta Mayor Hartsfield and Governor Ellis Arnall ordered a thorough investigation. Outrage from the public across America was quick, and there was significant political pressure to do something about the tragedy and hold people responsible. When the investigative probe was published, contributing factors were noted: 1) insufficient exits; 2) unprotected stair openings; 3) flammable furnishings and contents; 4) adjustable transoms over guest room doors; 5) absence of an automatic fire suppression system; 6) lack of enforcement of new fire code requirements in older properties; 8) weak fire inspections; 9) lack of fire alarm actuation; 10) delay in notifying the fire department; and 11) flawed building design. Sounds familiar, doesn’t it? For a second time in this article, I wish to share a personal encounter with someone who experienced the horrors of the immediate aftermath of the Winecoff Hotel fire and whose eventual career was set in motion by that fire. While working for former State Fire Marshal Jesse Johnson in the mid-seventies, I had the opportunity to make friends with the State Fire Marshal of Maryland, J. C. “Robbie” Robertson….initially a professional relationship which in due course grew into a lasting personal friendship until his death in 2013. Interestingly, Robbie Robertson was deeply involved with brokering Congress years ago to locate and establish our National Fire Academy in Emmittsburg. During one of our many conversations about fire service matters, Robbie opened up to me about his experiences after the fire at the Winecoff Hotel. He disclosed that he was just 17 years old when the Winecoff burned and was living in Florida when news of the disaster was broadcast over the radio. Somehow he convinced his parents that he had to go to Atlanta to learn first-hand what had happened. Apparently Robbie’s parents felt he was mature enough to handle himself on such a trip, and wanting to satisfy his desire to learn lessons from the fire, granted his wish. Robbie caught one of the many trains of that day and headed to Atlanta, arriving mid-morning on December 8th. After getting his bearings, Robbie caught a city bus which dropped him off several blocks away from the hotel on Peachtree Street. Robbie shared with me that the street was filled with fire apparatus, police cars, newspaper and radio reporters, throngs of curious onlookers, and many political personalities. Tall for his age, Robbie blended in well with the crowds of people, and eventually worked his way through the multitude to talk with some of the scores of firemen standing around. The young man asked a few questions and took notes, but mainly just listened to these brave men as they willingly shared their experiences. Robbie said firemen were still bringing out victims in sheets from the burned out hotel, and he watched intently as the firemen gently placed bodies along the sidewalk to wait for officials to attempt to determine their identities. Robbie lingered long into the night at the scene until finally he had satisfied his need to know. At times during our conversation, Robbie’s eyes filled with tears, and his words faltered as he described his experiences that day in front of the Winecoff. For a number of years, Robbie would even return to Atlanta to attend reunions of the firemen, survivors, and others present during the fire. 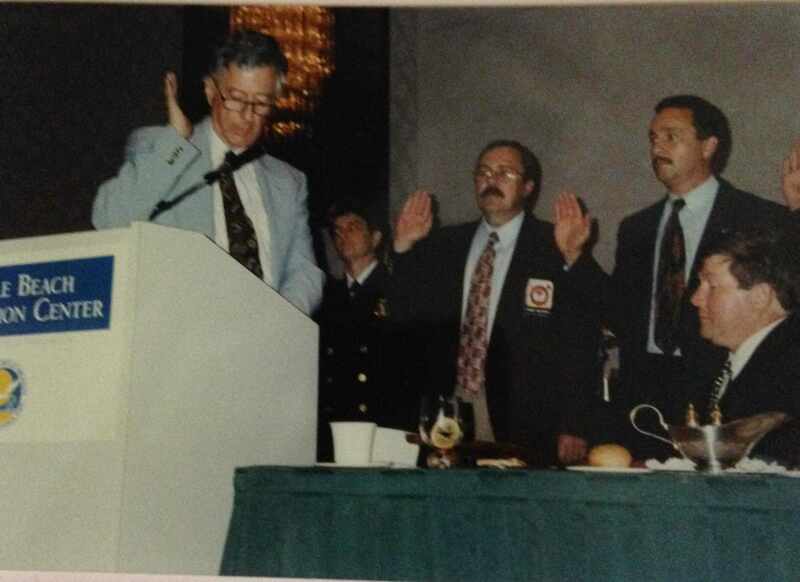 Although Robbie’s interest in the fire service started at a very young age, it was obvious, at least to me, his trip to Atlanta and his eye-witness experiences at the Winecoff served to stimulate his commitment to a fire service career. And, what a career! I count our friendship as one of my life’s greatest blessings. Then just a few months ago, the Colectiv Nightclub in Bucharest, Romania, caught fire, and 63 people died from basically the same reasons as the Station Night Club Fire in West Warwick, Rhode Island, on February 20, 2003. 100 patrons died in that fire. Both fires were caused by pyrotechnics which ignited flammable insulation. And, if that’s not enough, as I write this commentary, I’m watching on TV a spectacular fire spreading up some twenty floors of the Address Luxury Hotel in Dubai. As I begin to conclude this article, I have to tell you that I am left with many thoughts and questions about our fire problem in 2016. With so many lessons already learned over the years, why then are people still dying needlessly, especially in the home where we should feel the safest? Why are special interest groups seemingly winning the battle over sound building and fire codes? Why isn’t America’s fire service elevating fire prevention to the same level as suppression? And, finally, when will we (the fire service) ever develop the political will to challenge our elected officials and special interest folks in support of aggressive building and fire codes adoption and enforcement of those safeguards? If you examine the causes of just the fires mentioned previously, surely you will see that the loss of life in most of those fires could have been prevented, even back in the 1800s….blocked or locked exits, inadequate and unmarked exits, flammable furnishings & contents, lack of built-in fire suppression (sprinklers), lack of employee training, over-crowding, flawed building design, poor and ineffective inspection practices, and antiquated and incomplete building codes. Scary, isn’t it? Today it’s very common to observe the axiom “Lest We Forget” or “Never Forget” engraved on monuments marking the location of large loss fires where numbers of people have perished. Often these words are displayed with decals on the sides of fire apparatus or the front doors of fire stations as a tribute to firefighters who have lost their lives in the line of duty. Unfortunately, the significance of these words is all too often dulled by time and the transfer of generations. The older I get the more I am persuaded that the fire service in general, and, more particularly, the public and politicians, do in fact tend to forget or, at least regard with casual indifference, the lessons that have been learned over time. For example, “they” say home fire sprinklers cost too much….really? Consider what former President Theodore Roosevelt once said, “The more you know about the past, the better prepared you are for the future.” But, when it comes down to fire safety and prevention, I’m bothered that the American fire service and the citizens we serve may be turning away from those lessons learned with somewhat of a “blind eye”. We have the solutions; but I’m growing tired and a bit disenchanted that we continue to spotlight suppression over prevention. In 2016, join me in making it our pledge to “advocate, educate, and get involved”, and in earnest, give sincere value to NEVER FORGET!